Prior to us moving to Nashville, we lived in a historic building that dated back to 1863 when we lived in Cincinnati, OH. We knew that our house was in need of some serious tuck pointing and were looking for a company that specialized in doing historical restoration. We met the owner Kevin through a referral and after a few meetings with him walking us through his process we asked if he needed any branding help and he said yes. This project was a win on both sides. 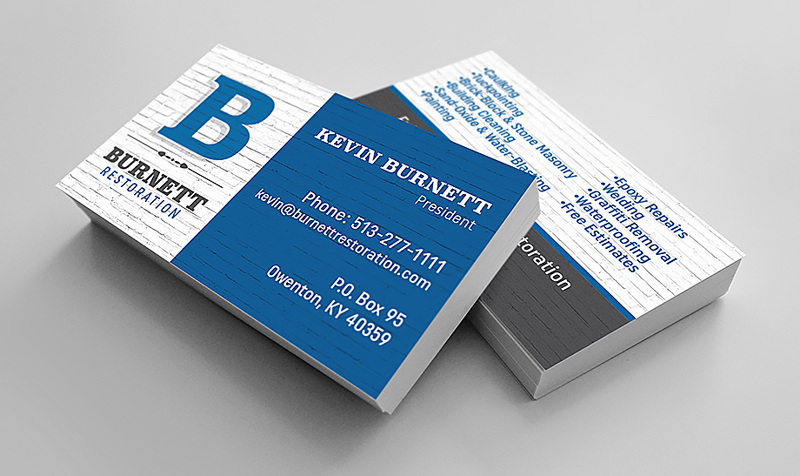 We love how this small brand refresh captures Kevin’s personality and company, bold, professional, approachable and quality. If you live in the greater Cincinnati and Northern Kentucky area and need work done, give him a call.